In Witchy-Whack! 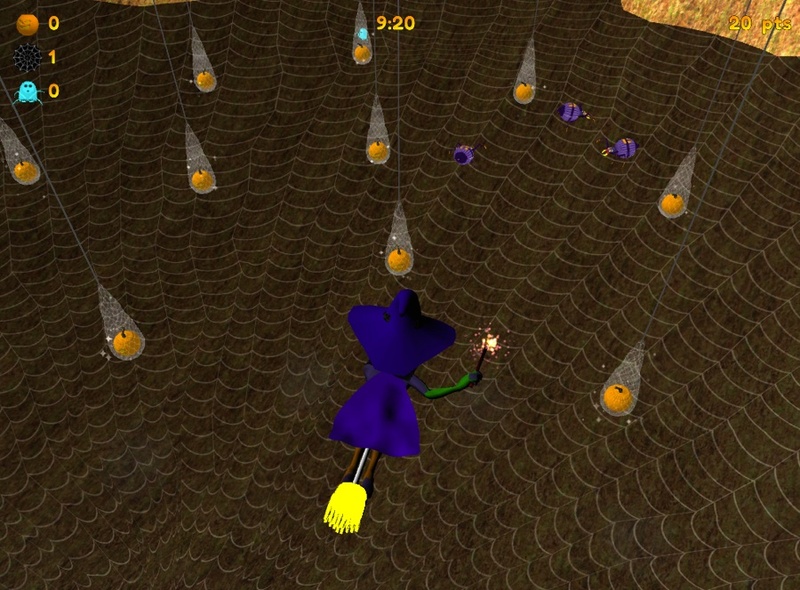 help Wanda the Witch collect all the pumpkins and stop the evil goblins, ghosts, and spiders from eating them first! 12 levels of fun, goofy challenges await you. 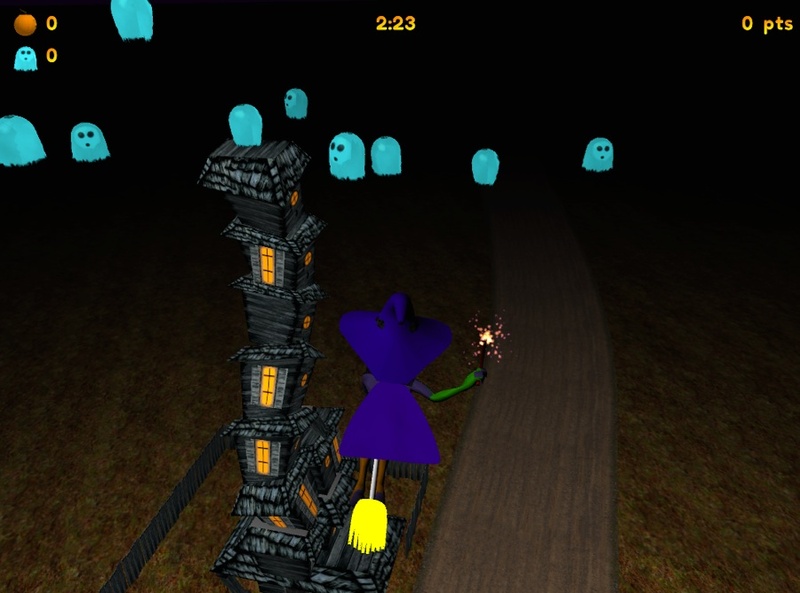 Finish each level before the time runs out by collecting all the pumpkins! Itâ€™s easy to win a level, but to get all five stars youâ€™ll have to put on your thinking cap! Battle invincible spiders, flying ghosts, and hoards of goblins with just your wand, your broom, and your wits. Try different strategies and see which one gets you the most points. 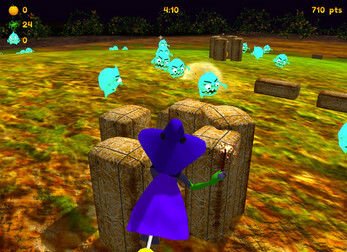 Race against the clock and chain attack your enemies for bonus points. 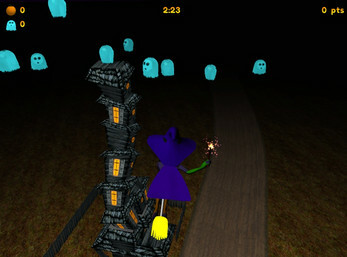 Witchy-Whack is an action-packed Halloween game for kids of all ages!